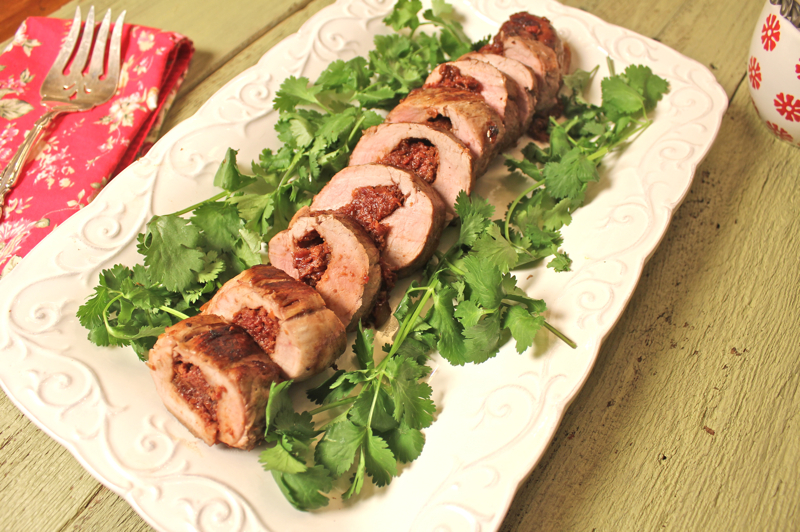 This is a quick meal that brings back memories of an earlier time. And a more simple time. 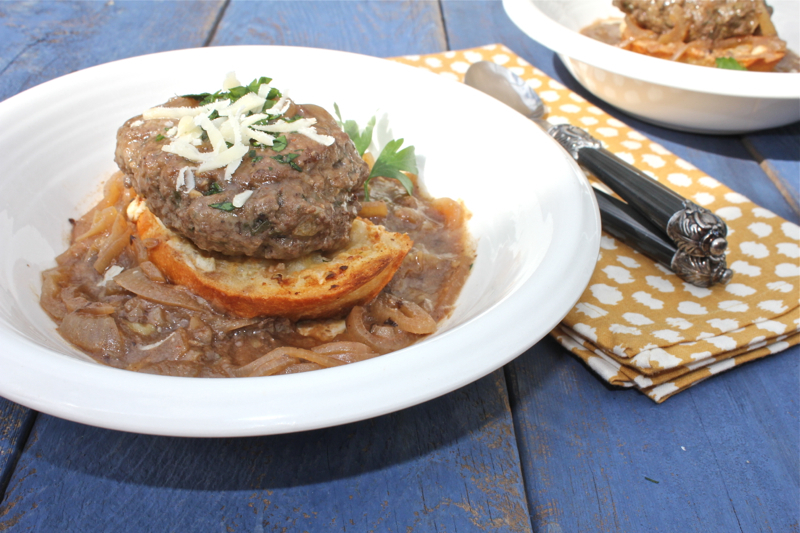 Most people equate salisbury steak with the TV dinners that were popular in the ’50’s and ’60’s. We have come a long way since that time. Even though that time was known for TV dinners, it was also the era of simple meals of meat and potatoes. My Mother was known for her pork chops, meatloaf and mashed potatoes. We never had such exotic food from other countries like pizza pie. Technology and Julia Child changed all of that. With the advent of cooking programs on television, many people were introduced to food from other nations. Now with the internet, we can even cook the same food that is currently being prepared in home kitchens all over the world. Social media has introduced us to quinoa, chia seeds and hemp hearts among other things. I have been adding hemp hearts to my morning oatmeal. Who would have thought? 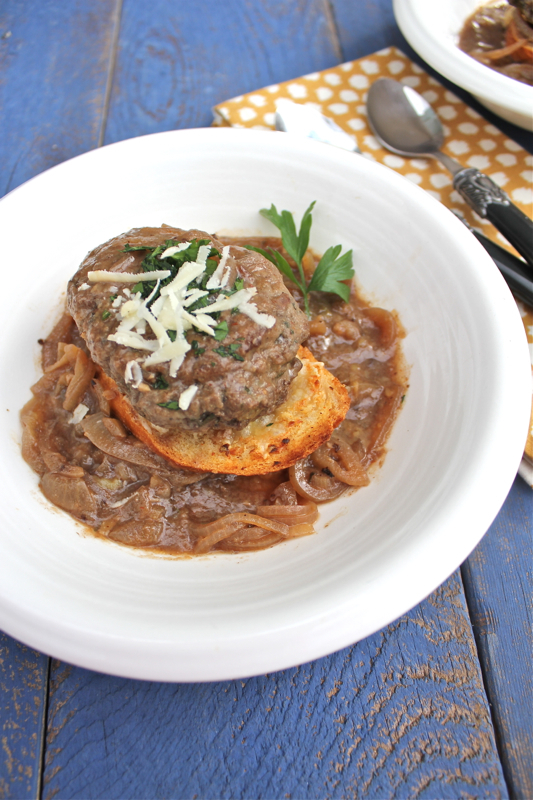 But sometimes, an old-fashioned meal like this “updated” salisbury steak with French onion gravy is most welcomed. Instead of potatoes it is served with toasted slices of sourdough bread with Swiss cheese. 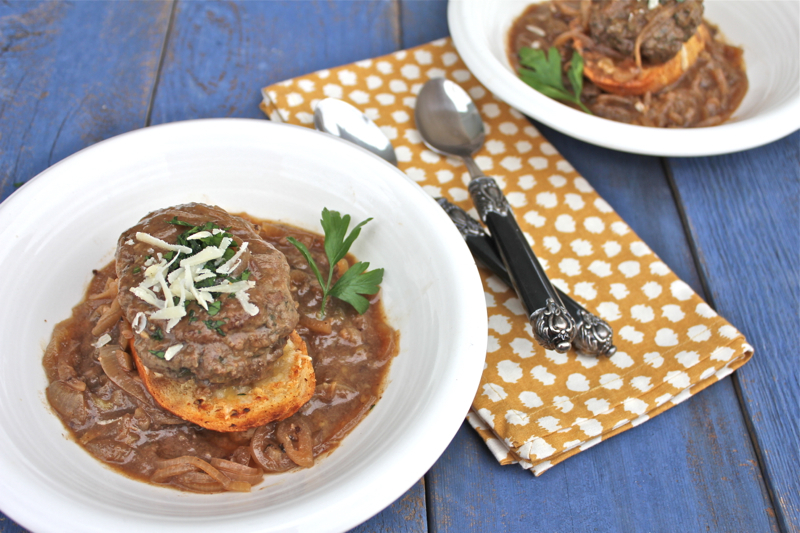 The gravy is a riff on French onion soup with beef broth, lots of onions, a little wine and a touch of tomato paste. I enjoyed this combination. Hope you enjoy this blast from the past. To be honest, I am glad that we now have so many options, but still love the classics. Combine chuck, parsley, scallion, salt, and pepper. 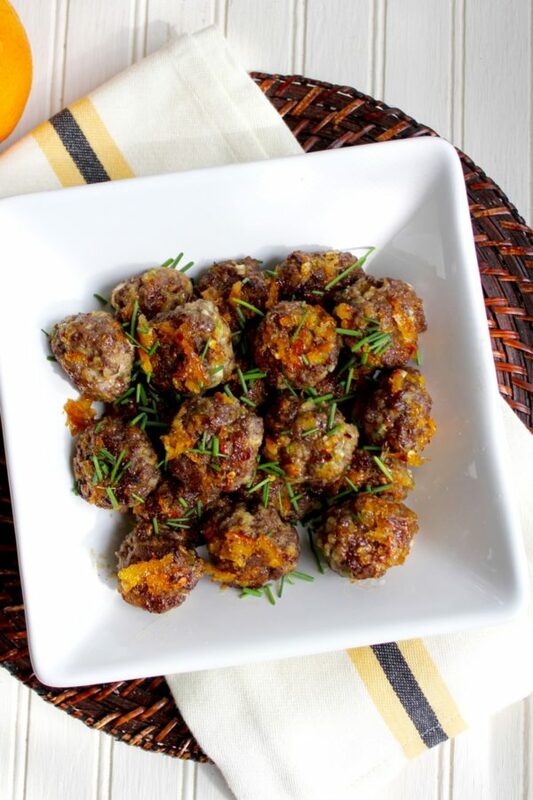 Divide evenly into 4 portions and shape each into 3/4-inch-1-inch thick oval patties. 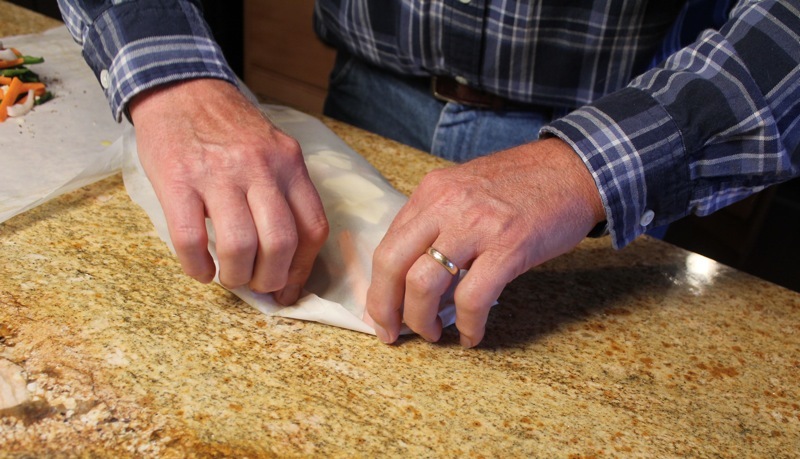 Place flour in a shallow dish; dredge each patty in flour. Reserve 1 teaspoon flour. Heat 1 tablespoon oil in a saute pan over medium-high heat. Add patties and saute 3 minutes on each side, or until browned. Remove from pan. Add onions and sugar to pan; saute 5 minutes. Stir in garlic and tomato paste; saute 1 minute, or until paste begins to brown. Sprinkle onions with reserved flour; cook 1 minute. Stir in broth and wine, then add the salt and thyme. Return meat to pan and bring soup to a boil. Reduce heat to medium-low, cover, and simmer 10 minutes. Serve steaks on Cheese Toasts with onion soup ladled over. 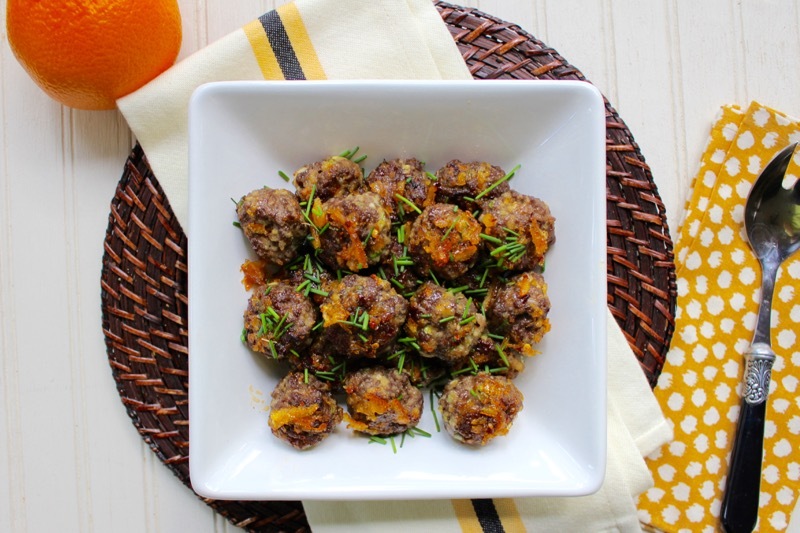 Garnish with parsley and Parmesan. Posted on March 2, 2015 at 8:29 am. I have been in a cooking funk lately. Nothing I have made has been blog worthy. I just burned some honey glazed pancetta that was supposed to go on a salad. 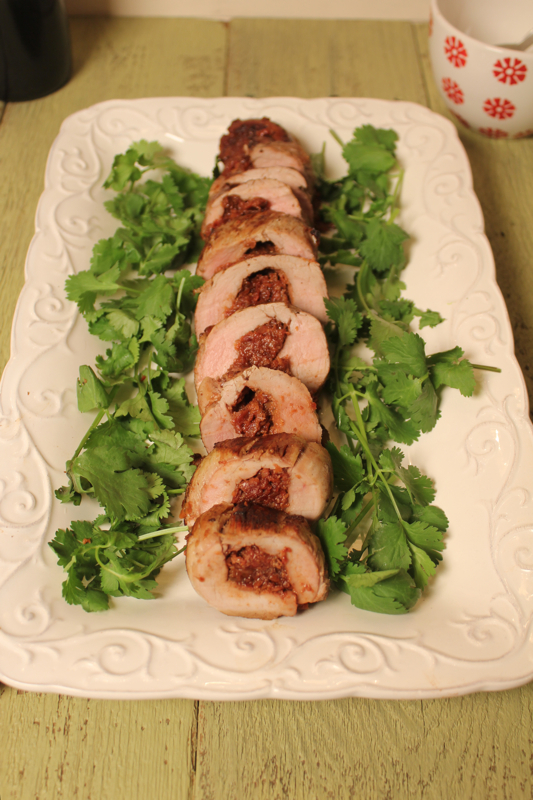 Other dishes that I have made were just plain boring. We are back in Lake Lure. The weather is cold and windy and the cottage is in need of all kinds of fluffing and repairs. Squirrels chewed the wires to the steam bath and made themselves a nest under the tub. David was looking forward to satisfying his Finnish blood with a hot steam bath and was dismayed to discover what the critters had done. They even feathered their nest with paint brushes from the basement. I guess they were planning on remodeling. We are planning on evicting them. So when dinner time rolled around last night, I was in no mood to get creative with the salmon. David said “Have you ever blogged about my salmon cooked in parchment paper?” Needless to say, I was more than happy to turn the kitchen over to him while I snapped the pictures. Here are the main ingredients. 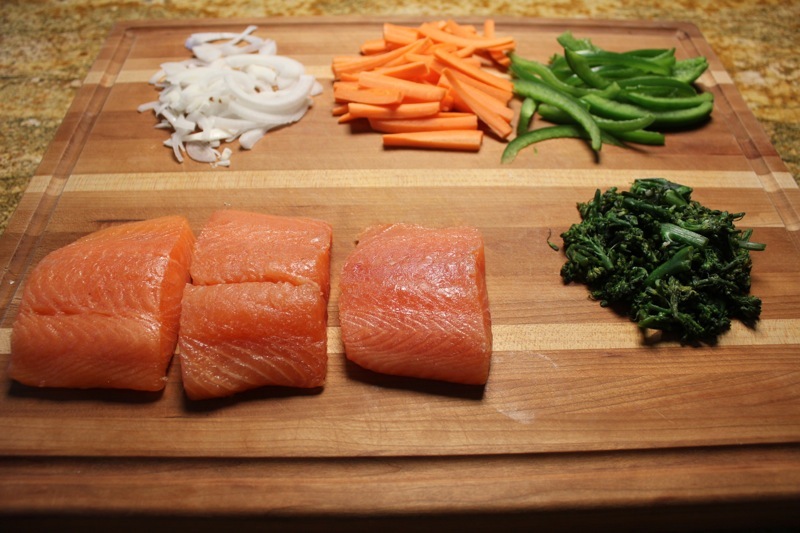 It is important that the vegetables you use are sliced thinly because the salmon cooks for only 15 minutes. You can use what you have. I had carrots, peppers, onions and some cooked baby broccoli from another meal. You could also use thinly sliced broccoli, scallions, snow peas or asparagus. 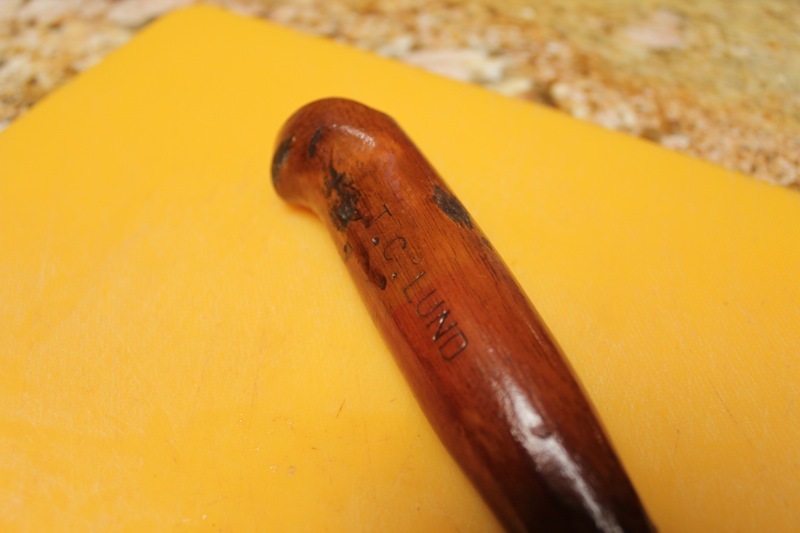 David is proud of this fillet knife that he got at an estate sale last year in our hometown of Dowagiac, MI. It is engraved with the date and Trig Lund’s name. Trig was an executive with the Heddon Lure Company a maker of fishing lures sold around the world. I wrote a whole post about the estate sale last summer. 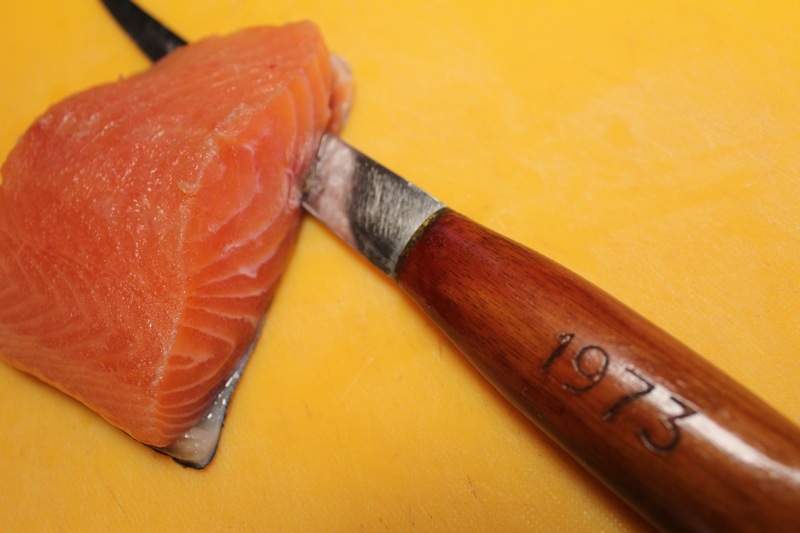 We always remove the skin from our salmon before we cook it. 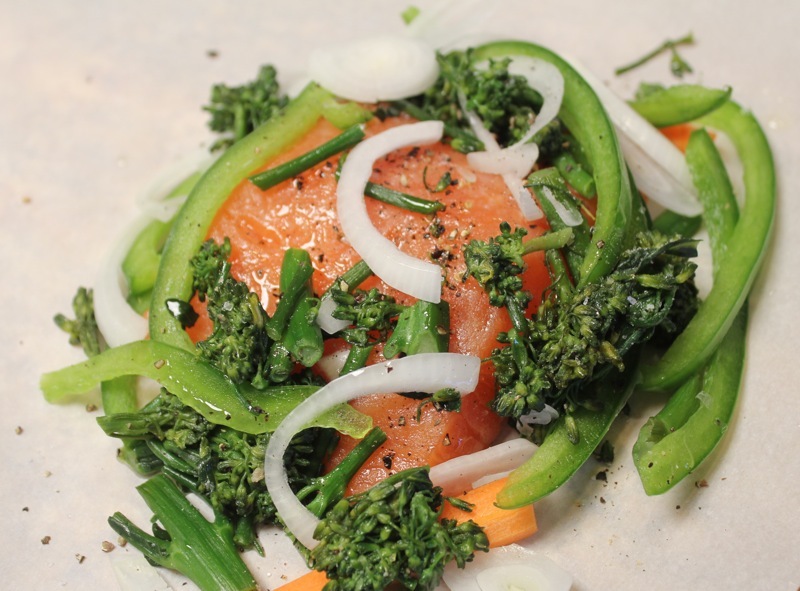 Each piece of salmon is placed on a piece of parchment paper and covered with the vegetables and seasoning. You can actually see the salmon in this shot. A little wine for moisture is always a good thing. Also note that David has brushed the edges of the parchment paper with an egg wash to help seal the packets. The packets ready to go into the oven. Notice he has also included pats of butter, along with some lemon juice. 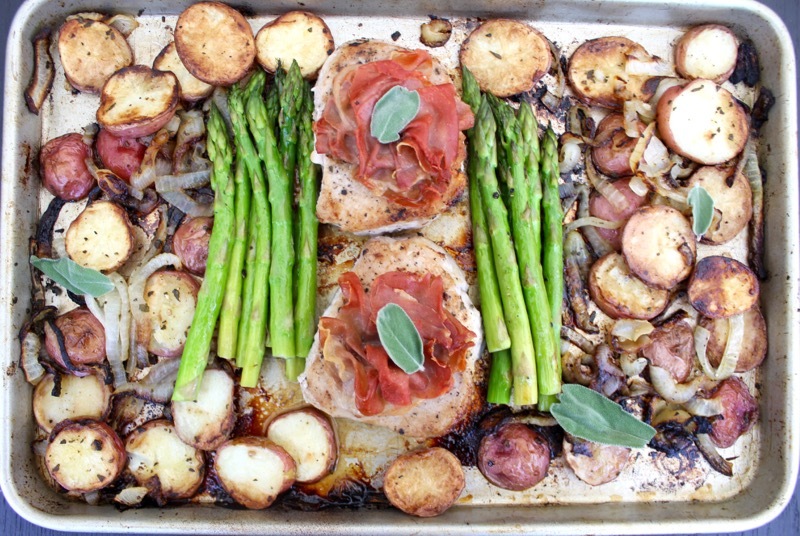 After a brief time in the oven, dinner was served. Along with the salmon I made a rice pilaf and a salad with that burned pancetta. It actually wasn’t bad. I will experiment with it again and give you a recipe when I figure it out. David had no trouble figuring out a great salmon dish. Here is his recipe. 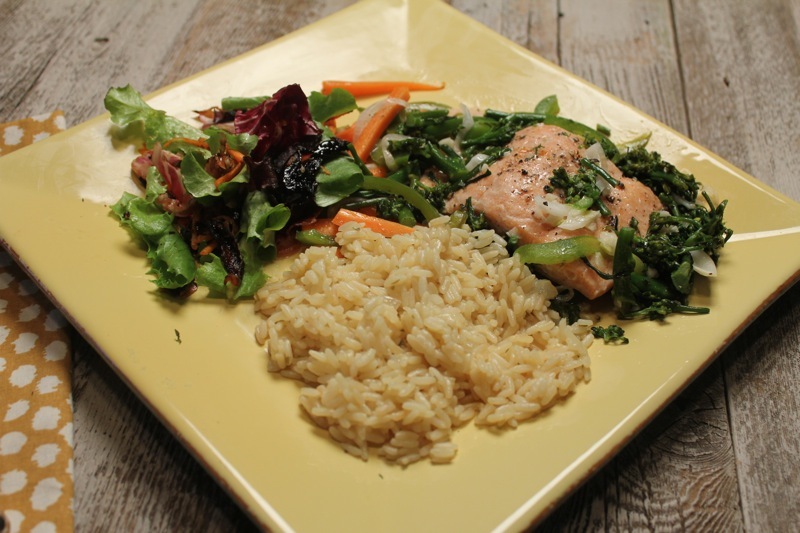 This is a very simple, delicious and fool-proof way to prepare salmon with vegetables. And, it looks fancy and festive, but it is so easy. You can use any combination of vegetables that suits your fancy. Listed below are some of the ones we commonly use, but you can substitute or include others such as, leeks, and snow peas, anything that can be cut into thin pieces so that it cooks rapidly. 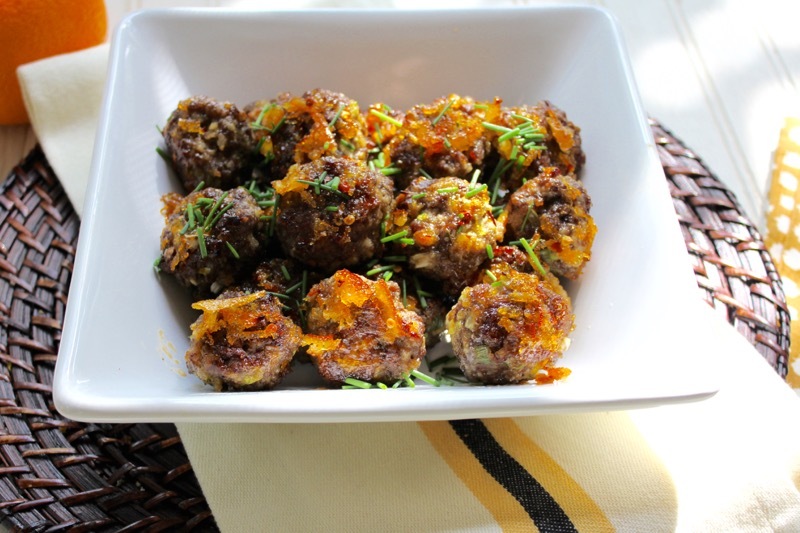 You can also substitute any other type of fish fillet that you might have on hand or can find, and you also might want to experiment with other herbs and spices. 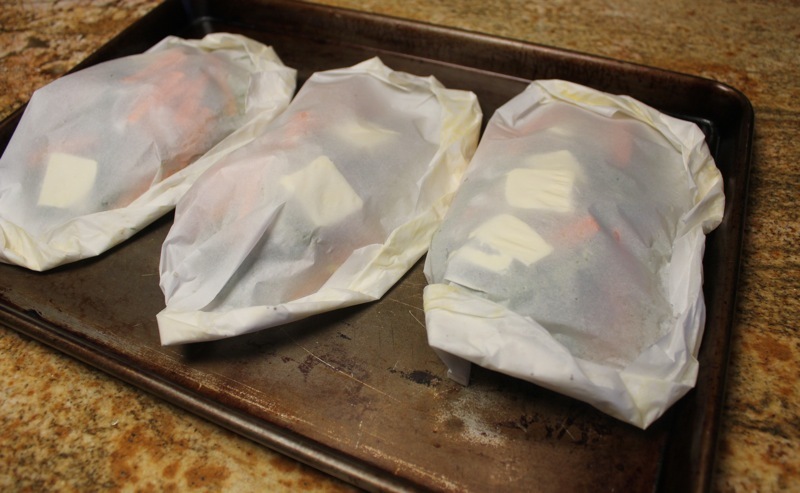 Place a salmon filet to the right of the center of a 15” square of parchment paper. Salt and pepper the filet to taste. Sprinkle the olive oil, garlic, and basil over the salmon. 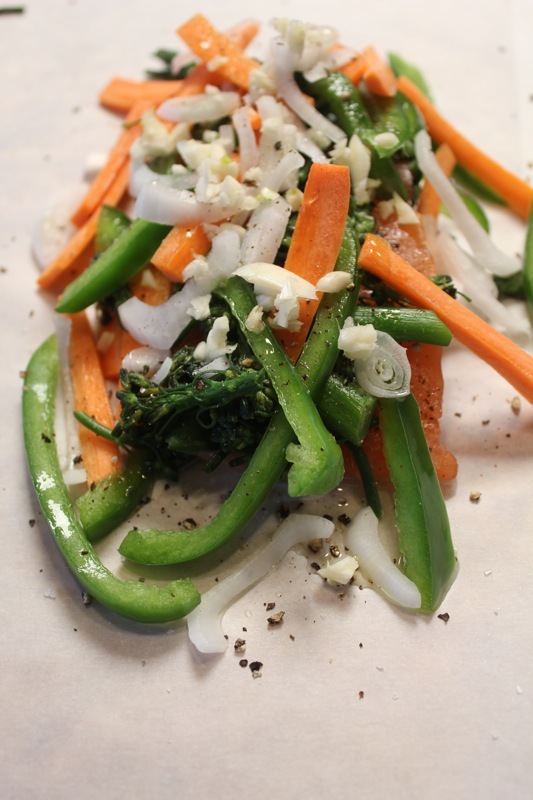 Arrange the julienned vegetables on top of the filet. Place two lemon slices and three butter pats on top. 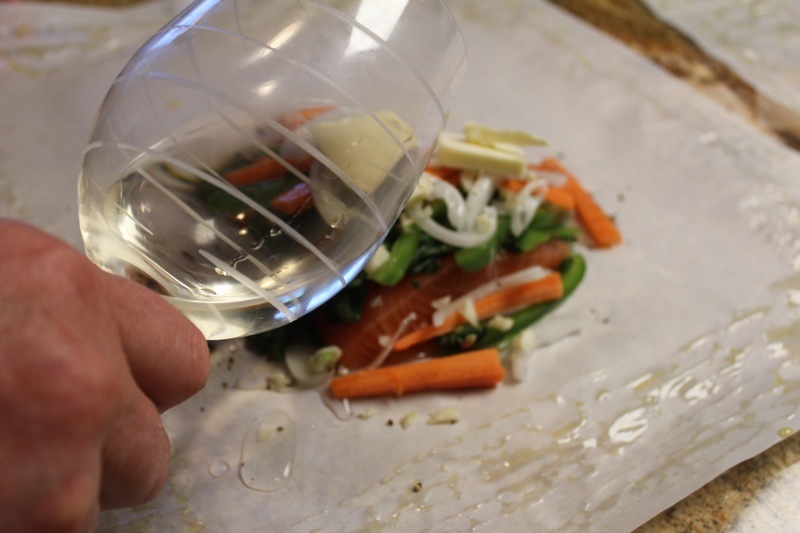 Sprinkle the wine over the top and add a little more salt and pepper to the top of the vegetables. Use a brush and the egg wash to paint the edge of paper all the way around to help seal the packet. 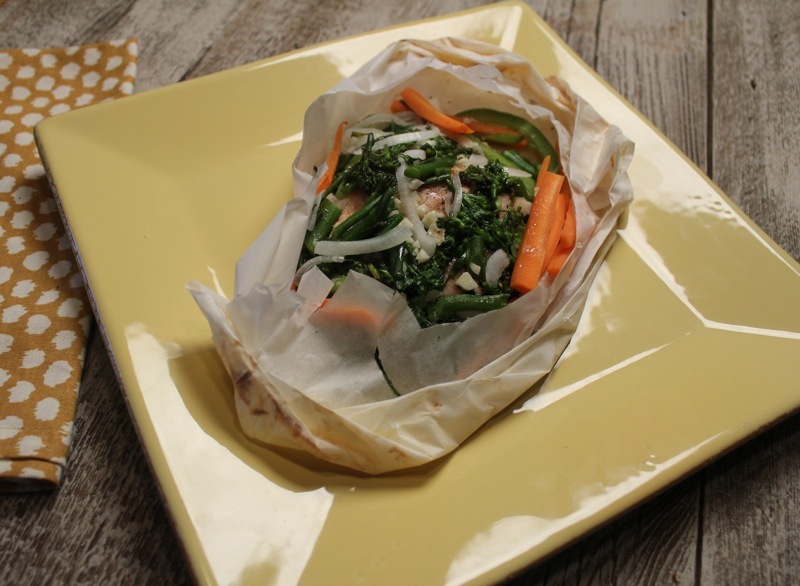 Fold the left side of the paper over the fish and vegetables and start at the top left corner making small overlapping folds all the way around the three open sides. When you get to the final fold, turn it under to help keep it from unfolding. 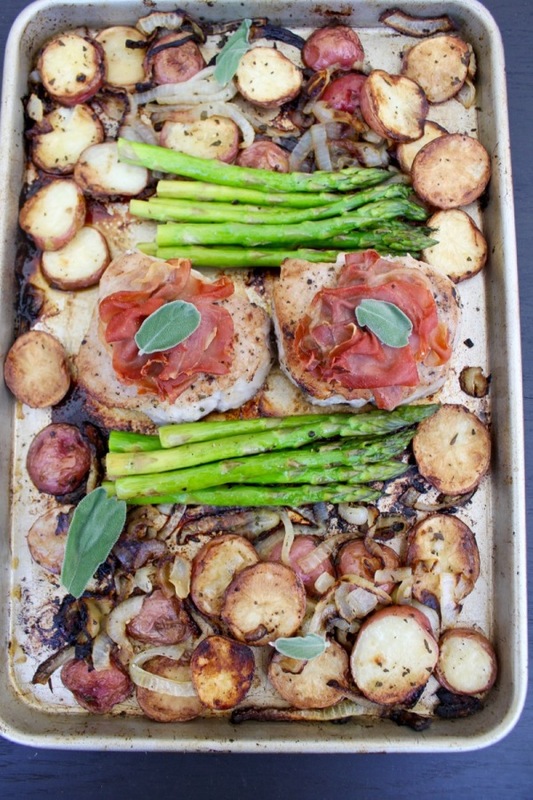 Prepare as many packets as you want servings and place on a baking sheet in a 400 deg oven for about 18-20 minutes. The fish will actually be done in about 15 minutes, but the veggies will benefit from the extra time, and the fish will remain moist and tender from the cooking method. To serve, place a packet on each plate along with whatever starch you are serving, and cut the packets open with a sharp knife so the contents can be removed to the plate. Enjoy. Posted on March 28, 2013 at 12:16 pm.